General Hospital (GH) spoilers tease that the show is gearing up for a major revelation. 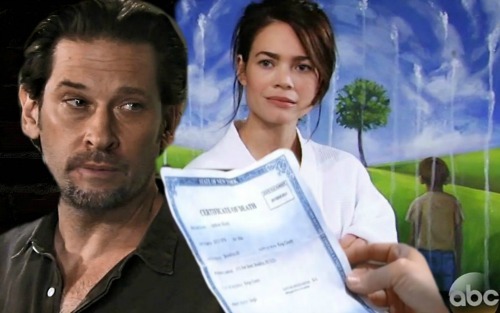 GH wants us to think they’re about to reveal the truth about Jason Morgan, but there’s no way this initial shocker will stick. Jason (Billy Miller) and Patient Six’s (Steve Burton) saga is far from over, so the first conclusion will inevitably be the wrong one. Patient Six has been viewed as an impostor by some. Other General Hospital characters are convinced he’s the real deal. There also a few characters who remain torn between the BM Jason and the classic version, SB Jason. Sam (Kelly Monaco) seems to fall into that last category. However, it shouldn’t be long until doubts emerge about the death certificate. Fortunately, Jason will indeed have more questions soon. Perhaps after having some time to reflect on all this, Jason will realize he needs to dig deeper. This info is coming from Franco (Roger Howarth), so it makes sense that Jason would be suspicious. He knows Franco can’t be trusted. General Hospital spoilers indicate that Jason will have another assignment for Curtis (Donnell Turner). 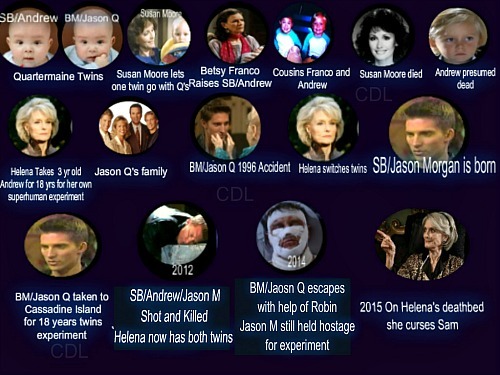 It looks like BM Jason will be declared the winner of the Jason Morgan battle, but this is only round one. Jason may decide he has to know the truth about Drew to satisfy his own curiosity. Perhaps Curtis will check around for more Drew details. Will Jason sabotage himself by continuing the search for answers? What happens if Billy Miller’s character is proven to be Jason and he uncovers more evidence that works against him? Current Jason could be left with a huge decision and ultimately, a dangerous secret. He could learn Patient Six isn’t Drew after all and decide to keep quiet about it. If Jason finds out that Franco knows the real story, they could establish some sort of an alliance. SB Jason is clearly a threat to both of them. Franco and BM Jason could reach an understanding about burying all this. These characters fear they could lose their loves, so they might be too scared to divulge the truth. Do you think current Jason will join Franco on the dark side? Will they keep Patient Six, Sam and Liz (Rebecca Herbst) out of the loop on any identity changes? We’ll give you updates as other GH news comes in. Stay tuned to the ABC soap and don’t forget to check CDL often for the latest General Hospital spoilers, updates and news.